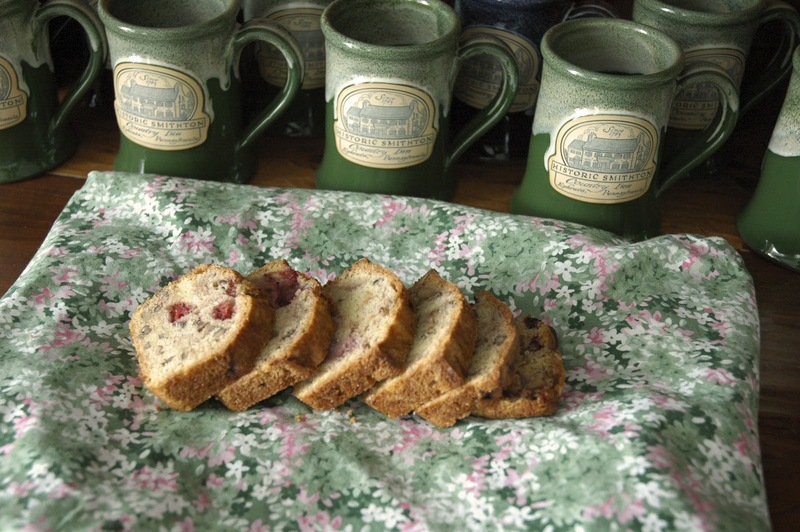 I’ve never seen a cookbook I didn’t NEED to own, and buying a bed and breakfast in Lancaster County opened up a whole new type of cooking… and therefore cookbooks… for me to try out. One of my favorite new cookbooks has earned that designation as much for the wonderful stories and photography as for the recipes. 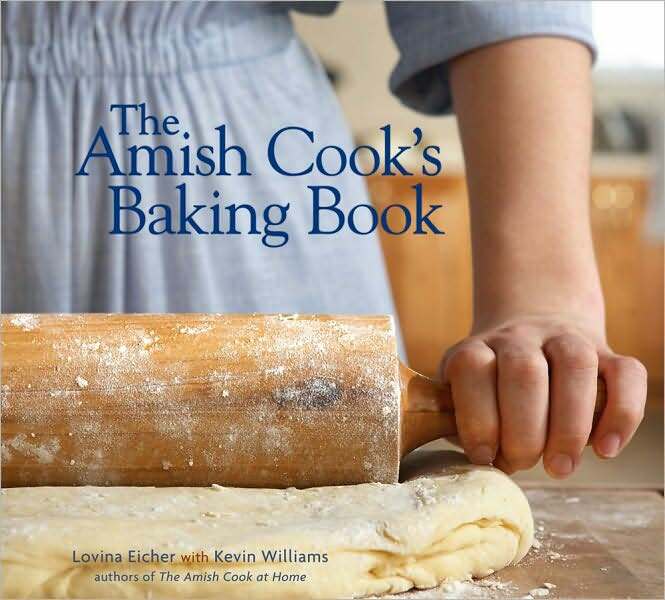 It’s “The Amish Cook’s Baking Book“, and this particular recipe can be found on page 69… should you decide that you too NEED this fantastic book! In a large bowl, beat the eggs until foamy. Add the oil, sugar, vanilla and almond extract tot he eggs and mix well. In another bowl, sift together the flour, baking powder, baking soda and salt. Add to the oil mixture and stir until just barely moistened. Add the strawberries and nuts and lightly mix, being careful not to overmix. Pour into a prepared pan and bake until nicely browned and a toothpick inserted in the center comes out clean, 50 minutes to an hour.